A Mysterious Girl Puts the Future of a Kingdom in the Balance! queen's castle doorstep wearing little more than a purple jacket and carrying a black pouch. claims. In turn, a devious plan is hatched... and, the results are quite fitting! This new twist on Hans Christen Andersen's The Princess and the Pea is surely to be loved by all fairy tale enthusiasts. 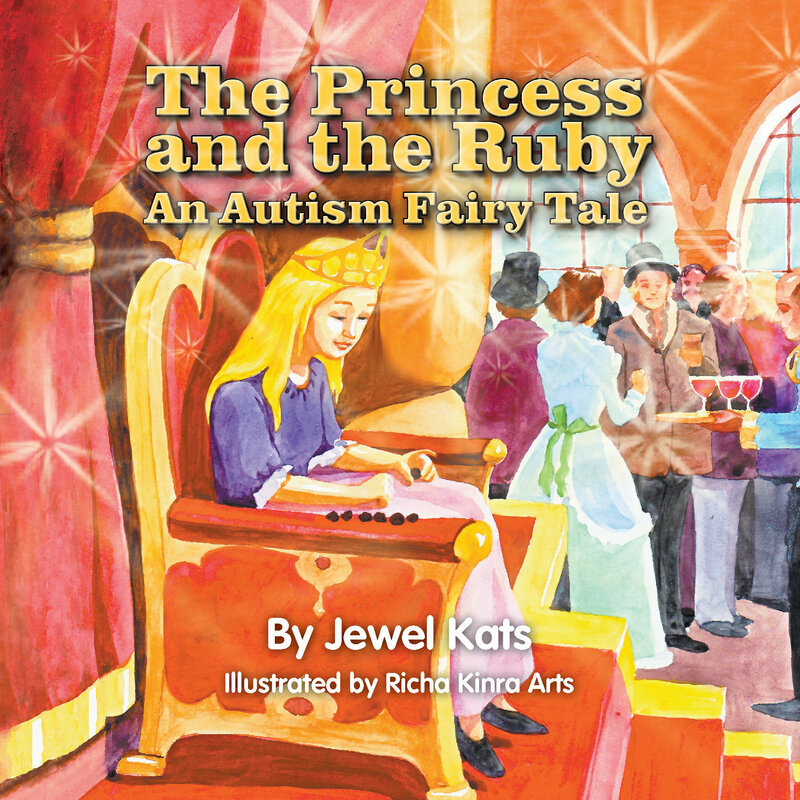 The Princess and the Ruby: An Autism Fairy Tale adds to much-needed age-appropriate literature for girls with Autism Spectrum Disorder. Both fun and education are cleverly weaved in this magical tale, teaching children to be comfortable in their own skin and to respect the differences of others. "As someone who has a couple of friends with Autistic kids, I understand the challenges these families have. This modern day twist on The Princess and the Pea not only shows how others judge something they do not understand, but how someone with Autism can see, feel and do things one might not expect." "The Princess and the Ruby is a heartwarming narrative; a tale that beautifully depicts several unique characterizations of Autism Spectrum Disorder. Jewel Kats has refreshingly shed light upon a daily struggle to redefine 'normalized behaviors', in an admirable effort to gain societal acceptance and respect."